East Jakarta Population and Civil Registration (Dukcapil) Sub-dept. 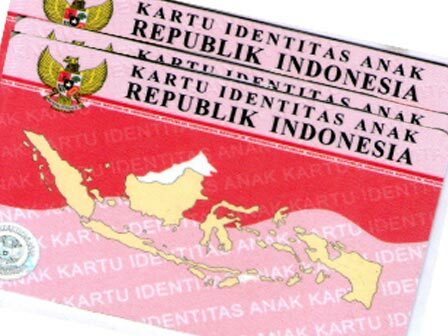 has issued 800 Child Identity Cards (KIA)s.
" Through cooperation with two RSUDs, we have issued 800 KIAs,"
Pasar Rebo RSUD and Budi Asih RSUD mostly issued through integrated service. "Through cooperation with two RSUDs, we have issued 800 KIAs," said Sukma Jaya, Head of East Jakarta Dukcapil Sub-dept. Head, Monday (7/24). According to him, every childbirth process in those two RSUDs will get four services at once. There are birth certificates, KIA, new family card (KK), and Health BPJS card. KIA is identity card for Indonesia child. It has similar function with E-ID owned by adult. KIA informed the child's name, address, ID number (NIK), and others. When the child turns to 17 years old, KIA will be changed with E-ID.